Today, we’re eating lunch at home. Yup, it’s a sick-day here for the Little Lady and, by extension, the rest of us. Normally, at home, I don’t make up our usual simple bento lunches (yes, I serve kids food on plates like other people); but, today’s lunches were made-ahead of time — part of my process for staying sane on school/work day mornings. A DIY Lunchable style bento is one of my favorite — and easiest — fast school lunch ideas that can be thrown together the night before school. The one I’m sharing today took all of 5 minutes … fifteen minutes after I entered the kitchen and opened my fridge, I had lunches for all three kids made and decorated. DONE, folks. 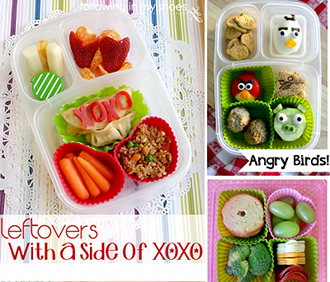 A cute and fun, eye-catching lunch for your school kiddos doesn’t have to take all night (although I have done that before and I do NOT recommend it). 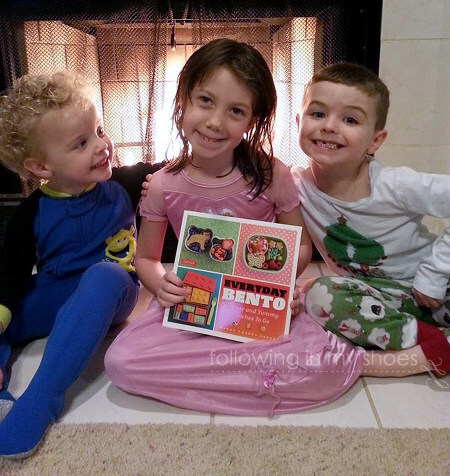 My friend Wendy (author of the blog Wendolonia) recently released an adorable bento book that proves my point. 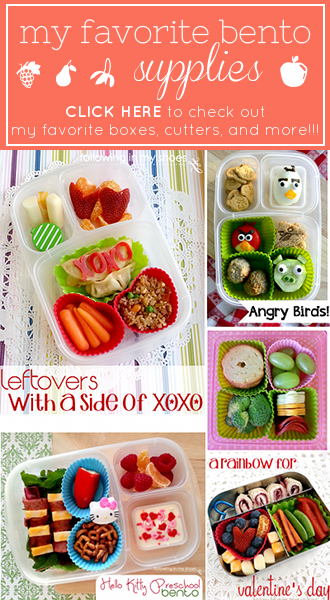 Everyday Bento is a great resource for anyone who wants “do-able” tips and ideas for making fun school lunches. 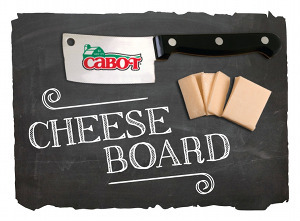 The photos and step-by-step instructions make kid-friendly lunches a breeze. The Kidlets were excited to see a new book of lunch ideas. Yes, simple is my favorite. 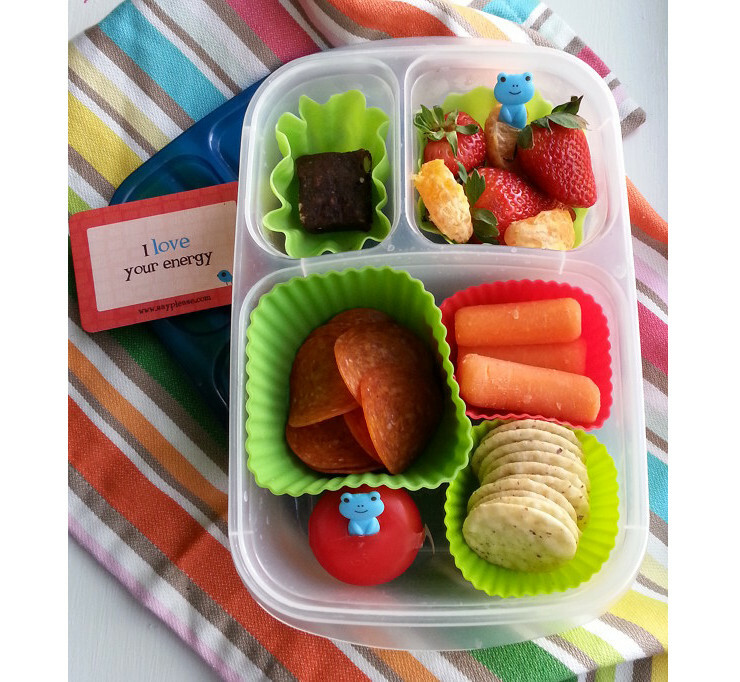 Colorful fruits and veggies … a few silicone muffin cups and a couple of froggy picks … a Lunchbox Love note … that’s all it took to transform normal, every day items into something a preschooler would enjoy. And, when I’m dealing with my pickiest of picky preschoolers, I want lunch-time (a meal away from Mama) to be a healthy meal I know he will love. If that means a few extra seconds adding some decorations to make that happen, so be it.